Thanks to a generous grant from 4Culture, the BlackPast.org staff has created a special section on the history of the black residents of Martin Luther King County, Washington. Included below are brief profiles of the individuals, organizations, institutions and events which have shaped that history and impacted the history of all the residents of King County. Also included are primary documents, speeches, bibliographies, and a photo gallery related to that history. The photographic history of African Americans in Martin Luther King County, Washington is vast. In fact there are hundreds of images housed in the collections of the Black Heritage Society of Washington and the Museum of History and Industry (MOHAI). The Society and the Museum have given permission for twelve of their images to appear below. These images represent a small portion of the holdings of the two institutions. Other King County Historical institutions such as the Renton Historical Society, the Ballard Historical Society, the Wing Luke Museum, and the University of Washington Manuscripts and Archives also have images. The basements and attics of county residents, however, are the greatest repository of photographs of African American History in King County. 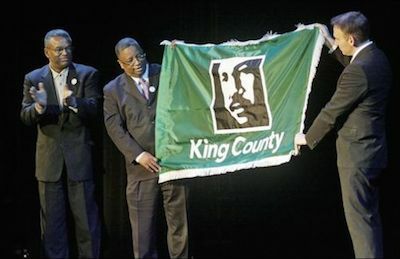 If you have images connected to African American history over the past 160 years in Seattle and King County, we at BlackPast.org urge you to contact one of these (or other) organizations to donate those images to an institution with a trained staff and state of the art technology so that your images will be preserved for future generations. Here are images from the Black Heritage Society and the Museum of History and Industry. Please visit their respective websites for access to the full collection of images on African American history in their holdings.